In his time, Hugo Schröder was the most famous optical worker in Northern Germany. 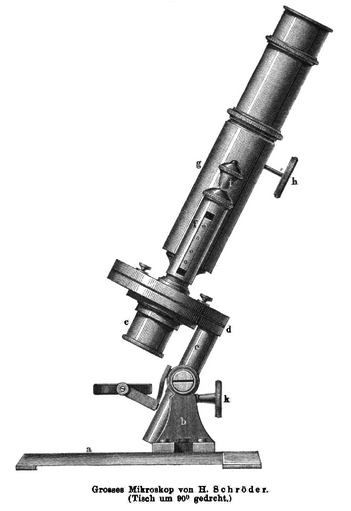 In addition to well-regarded microscopes, Schröder made telescopes of international repute. From 1882 onward, he was technical director for the London, England firm of Ross and Company, and responsible for many of that company’s advancements in photographic lenses. Additionally, Schröder played significant roles in the development of two microscopists who achieved great fame. Rudolf Fuess (1838-1917) worked as a journeyman optician for Schröder, prior to establishing his own microscope business in 1865. Johann D. Möller (1844-1907) moved to Hamburg in 1861, as an apprentice to an artistic painter. Möller became curious about microscopes and sought out Schröder, who taught him how to grind lenses. After completing his art apprenticeship, in 1864, Möller decided to give up painting, and worked for Schröder for several months before starting his microscopy business in Wedel. Figure 1. 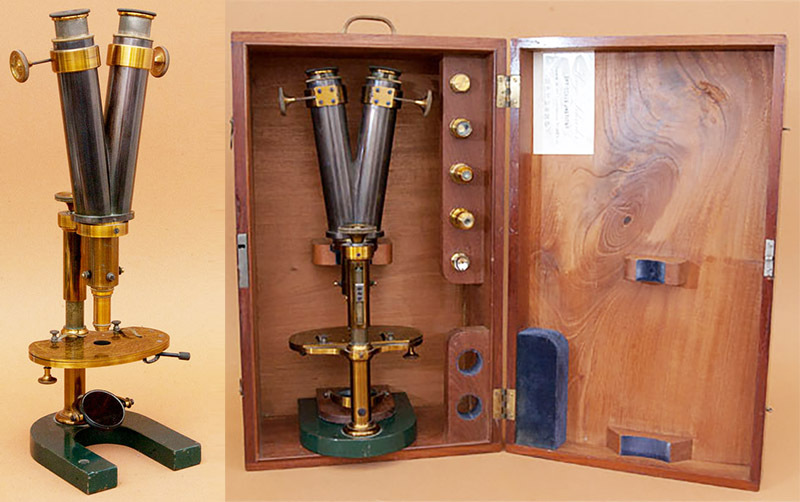 Schröder’s “Number 2 Stand” microscope, described in 1869 by Leopold Dippel, “has a horseshoe foot, oval, large stage, mirror that can be adjustecomd for direct or and oblique lighting, coarse adjustment by rack and pinion, fine adjustment by a spring plate according to Herr von Mohl, a retractable substage, and its price is 20 Thalers”. The thumbscrew below the stage causes that end to rise or lower, serving as a fine focus to adjust the distance between the specimen and the objective lens. A ring of stops is built into the stage. The ocular lens shown is not original. Figure 2. 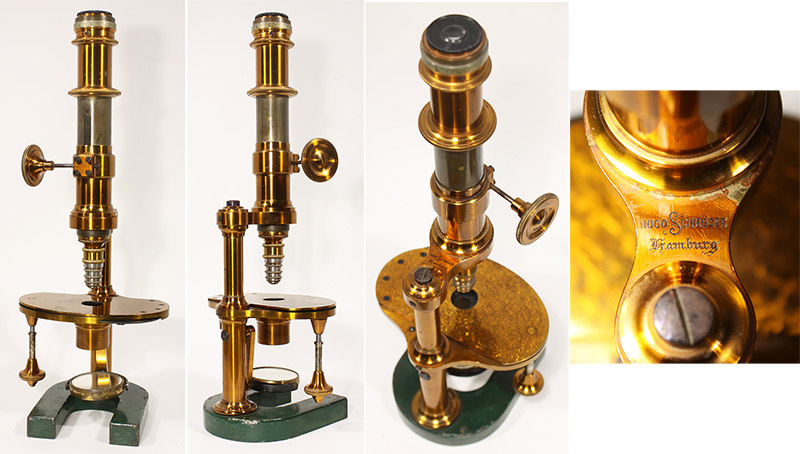 A binocular microscope by Schröder, similar to the instrument shown in Figure 1. The screw-type coarse focus is located in the limb. The binocular lens has a pair of prisms at the base, to split the lightpath. Schröder’s trade card, glued into the lid, is shown in Figure 4, below, and dates this instrument to after 1869. Adapted for nonprofit, educational purposes from the online Golub Collection, http://golubcollection.berkeley.edu/19th/120.html. Figure 3. Etching of Schröder’s Number 1 large stand, from Dippel, 1869. This was described as being mounted on “a tripod, a sufficiently large round table, and a mirror for straight and oblique light. The coarse adjustment takes place by means of a rack-and-pinion, and the fine adjustment by a micrometer movement on the tube column. The entire instrument, with the column that carries the mirror, is movable on two trunions, and can be fixed between the vertical and horizontal in any position by a screw. Its price is 60 Thalers”. Figure 4. Two Hugo Schröder trade cards. Left: he was located at St. Pauli Marienstrasse No. 1 in 1867. Right: he had moved to Hamm an der Landstrasse No. 144b by 1869, and Hamm an der Landstrasse No. 22 by 1876. Adapted for nonprofit, educational purposes from an internet auction site and the online Golub Collection, http://golubcollection.berkeley.edu/19th/120.html. Figure 5. Undated photograph of Hugo Schröder. Adapted for nonprofit, educational purposes from https://www.ancestry.co.uk/family-tree/person/tree/84470038/person/46506538693/facts. Heinrich Ludwig Hugo Schröder, who went by the name “Hugo”, was born on October 18, 1834, in Hamburg. His father, Christian Heinrich Schröder (1802-1882) was celebrated maker of pianos. Notably, Johannes Brahms played a private concert in celebration of C.H. Schröder’s silver wedding anniversary, in 1851. As a young man, Hugo studied mechanics and optics with Moritz Meyerstein and J.B. Listing in Göttingen. He was later referred to as “Doctor”, so he presumably received a Ph.D. from that university. It is not clear exactly when Schröder began his optical business in Hamburg, but it was probably in the mid-1850s. He turned 20 in 1854. Rudolf Fuess trained with Schröder before opening his own business in Berlin in 1859. Schröder exhibited his wares at the 1862 International Exhibition in London, showing “Microscope, with minor apparatus. Optical articles”. Leopold Dippel wrote extensively on Schröder’s products in his 1869 Das Mikroskop und Seine Anwendung. He described four models of microscope: A large Number 1 stand (shown in Figure 3), a similar stand with a round base and round, rotatable stage, a Number 2 stand (shown in Figure 1), and a small stand with a round base and stage, draw-tube coarse focus and no fine focus (for only 12 Thalers, one fifth the price of the Number 1). Schröder also offered a wide array of lenses. Photographic equipment was noted in 1869, “Herr Hugo Schröder, an optician in Hamburg (Hamm on Landstrasse No. 144b), informs the editor that he has succeeded in producing an excellent photographic apparatus, in order to obtain microscopic images of great extent, and with lenses of great opening angle, without any aperture, in perfect planeness and extreme sharpness to the edge. A photograph of the cross-section of a branch of the tree, enclosed with this letter, convinced the editor that Herr Schröder's apparatus really possesses an excellent capacity. The image has a diameter of 18.5 cm and is, in fact, perfectly sharp as far as the outermost edge”. Among Schröder’s major products were large-scale telescopes for astronomical observations. 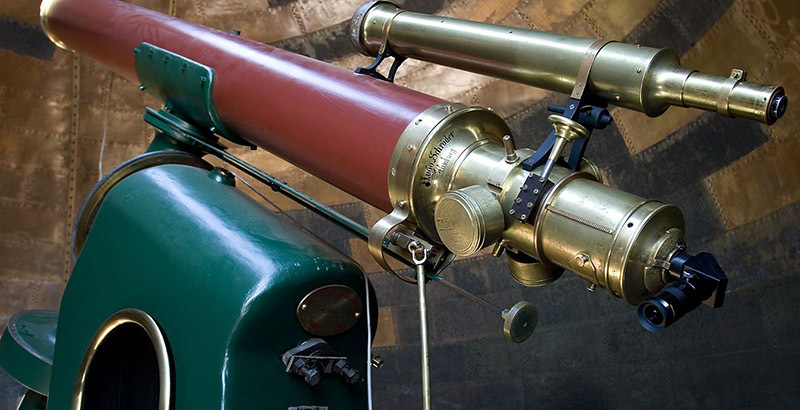 For example, an 11.5 (29 cm) inch equatorial refractor telescope was delivered to the Sydney (Australia) Observatory in 1874, and it is still in use (Figure 6). Schröder exhibited fine screw adjustments and spectroscopes at the South Kensington Museum, London, in 1876. The catalogue described these as “An assortment of the finest Screw-Micrometers, of almost perfect accuracy, and a small instrument for observation … Spectrum Apparatus, for the observation of the spectra of the fixed stars, planets, and nebulae; arranged after the spectrum apparatus of Boshkamper (belonging to the Observatory of Hamburg) … Spectrum Apparatus, for observing the solar Protuberances to be attached to the collimator of the spectroscope”. During the early 1870s, Schröder advocated to the city of Hamburg for development of a public observatory. In 1877, it was noted in Nature that “The proposal to found a popular Astronomical Institute at Hamburg, advocated by the optician Dr. Hugo Schroder, has been received with general favour. Indeed the project has so far exceeded the original proposal as to include a zoological garden, an aquarium, and, in fact, a great institute for the spread of scientific knowledge. Popular lectures will be given at the institute, which will be furnished with a refractor costing 188,000 marks, a dozen of the best microscopes, a model of the world, planetaria, &c. The first cost is estimated at 600,000 marks”. Despite that enthusiastic report, the project failed to obtain sufficient funding, and was not built. Perhaps as a consequence of that lack of support, Schröder moved to Oberursel, near Frankfurt am Main. A letter from Schröder is known that was addressed from Hamburg on November 30, 1878, and he has been identified as working from Steinmühlenweg, Oberursel, in 1879. The move was not a good one, and Schröder’s business closed in 1882. Schröder and family moved to London, England, where he was hired as technical director of Ross & Co. by the owner, John Stuart (Stuart had married the widow of Thomas Ross, ca. 1872). Schröder replaced Francis Wenham in that position. His innovations were well received, as shown by this 1883 write-up, “A diagram was drawn to show the manner of ascertaining the two Gauss points of a biconvex lens, and a sheet exhibited in which the various kinds of lenses, with their optical centers and Gauss points, were shown. For this drawing he (the speaker) said he was indebted to Dr. Hugo Schroeder, now with the firm of Ross & Co. The lecturer congratulated … Mr. John Stuart for his enterprise in securing to this country a man of such profound acquirements”. Over the years, Stuart and Schröder received several joint patents for their inventions. Schröder and his family were naturalized as British subjects in January, 1888. From this record, and subsequent censuses, we learn that Hugo’s wife’s name was Franziska (born ca. 1836), and they had two children, Heinrich Eugen Richard Schröder (born ca. 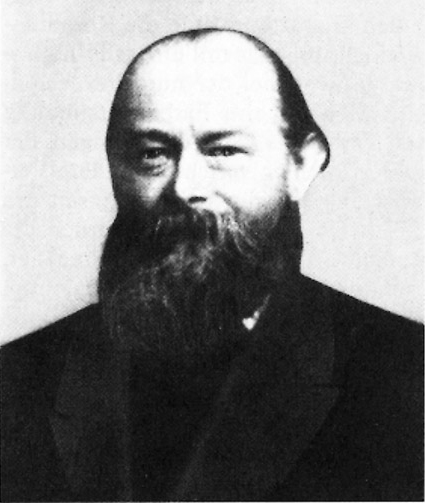 1865) and Carl Antin Hugo Johannes Schröder (born ca. 1868). Both sons were unmarried at the time of the 1901 census, lived with their parents, and worked as electrical engineers. In 1893, the brothers filed patents for “new or improved galvanic batteries” and “improved methods of recovering zinc from the waste products of galvanic batteries”. Hugo Schröder died from a stroke, on October 31, 1902. Figure 6. The telescope that Hugo Schröder built for the Sydney Observatory in 1874. It holds an 11.5 inch / 29 cm diameter refracting lens. It is still used. Adapted for educational, nonprofit purposes from https://collection.maas.museum/object/258726#&gid=1&pid=1.